Congratulations to the Po Hi-Steppers, who are the 2019 Large team National Champs! The last time they won this award was in 2008. They won National Champion status in Kick, Pom, Military, and Prop. 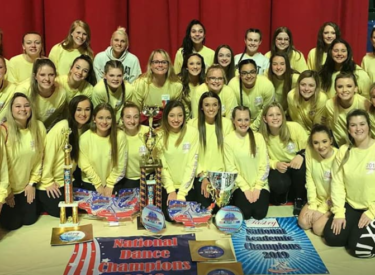 In addition, they were International Champions in Academics, Military, and Prop; International third runner up in Kick; and International forth runner up in Pom. In the International Competitions they beat teams from Japan and other teams from all divisions. They also were National Champions in Officers Dances for Kick and Military. As the large school American Academic Champions, the team has a 3.625 cumulative GPA.